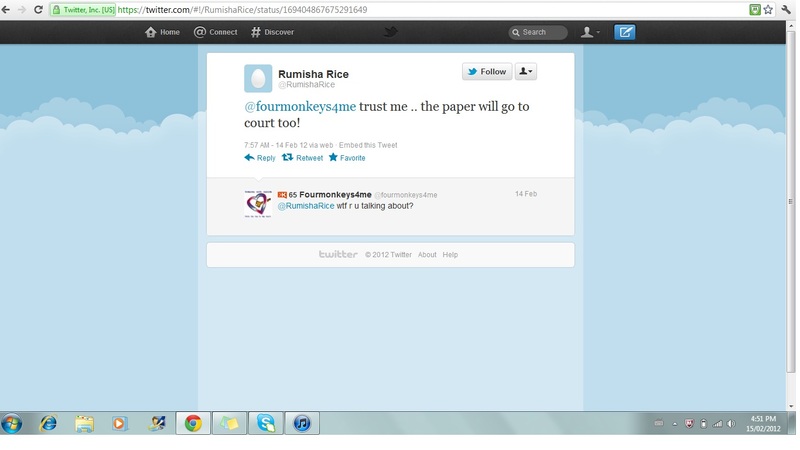 Four Monkeys 4 Me: "You hacked my online newspaper!" Seriously. This is what I'm being accused of. Do you really think it's okay to accuse me of a FEDERAL OFFENSE?! Can you PLEASE!!!! SHOE ME PROOF!!! 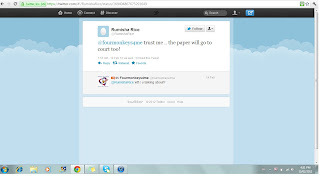 Apparently, an A4CWSN fan has been creating and sending an online newspaper with paper.li/. I had no clue. Unlike some followers and supporters think, I really don't spend all my time following the going ons of this group. Under her tweet, you can see my WTF are you talking about? Seriously. Had. no. clue. A couple of private messages later between myself and an un named source, and my email was quickly filling up with a paper generated by paper.li that this A4CWSN fan had generated and sent out to the mailing list. Multiple attempts and papers were sent out yesterday. My blog was the feature article in all of them! (Yes, I snorted). I had nine emails forwarded to me with different variations of this newspaper. The tenth email was this. Paper.li describes itself as a "content curation service". Basically you allow it access to your twitter/facebook account and it creates an online newspaper of the content you tell it too. I'm going to go out on a limb an just guess that she allowed this paper access to her twitter stream, and suggested it looked for @ mentions of A4CWSN or use of the hashtag. Here are some handy linky-do's about this service. Seriously. Get a grip on reality folks. No one hacked your twitter newspaper, quite frankly, I don't know a soul interested in your paper (not to be confused with that there are people who may be, I just don't know them- and frankly, not interested in knowing them either). Our names are attached to the paper because paper.li picked up our streams. Most of us have pretty decent klout scores- which means we have a good audience and we influence people. We get a lot of retweets and shares on the information we put out there. (snark- sorry- this I had to throw in for a friend- really, just don't worry your pretty head about it). We didn't hack your newspaper. Mistakes happen. We all can't be perfect. Oh, by the way, I'll give you a free pass this time. Next time though, be prepared to shoe me the proof and have your lawyer ready. I'm going to sue you!!!!! As an aside: please note that I did cut and paste the forwarded portion of the emails, to protect the identity of the person forwarding them to me. SOME of us have disappointing klout scores. ROFLMAO!!! 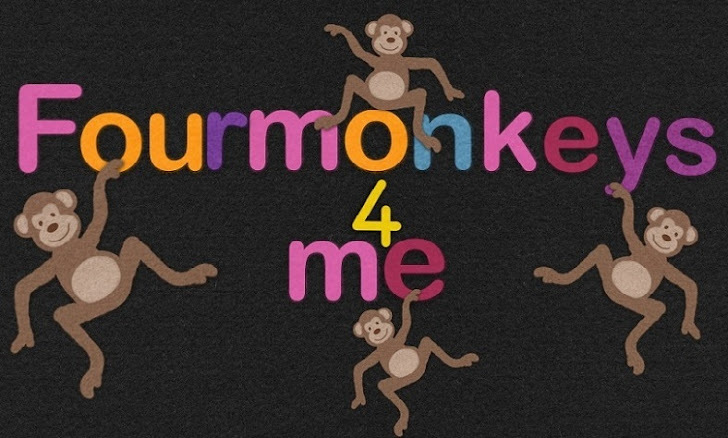 Another great blog by Four Monkeys 4 Me!! *Snort* Them monkey people hacked my newspaper. That thar is a felonious offense. SCORE: Monkeys: 1, Idiots: 0 This is the FUNNIEST and most RIDICULOUS accusation to date. For someone who was on the news as a "former computer programmer", he is SUCH an idiot!! Can I get paid a commission for contributing to their online newspaper. Or maybe I can sue for using something I wrote without permission!! I didn't know that - hmmm, explains a LOT.